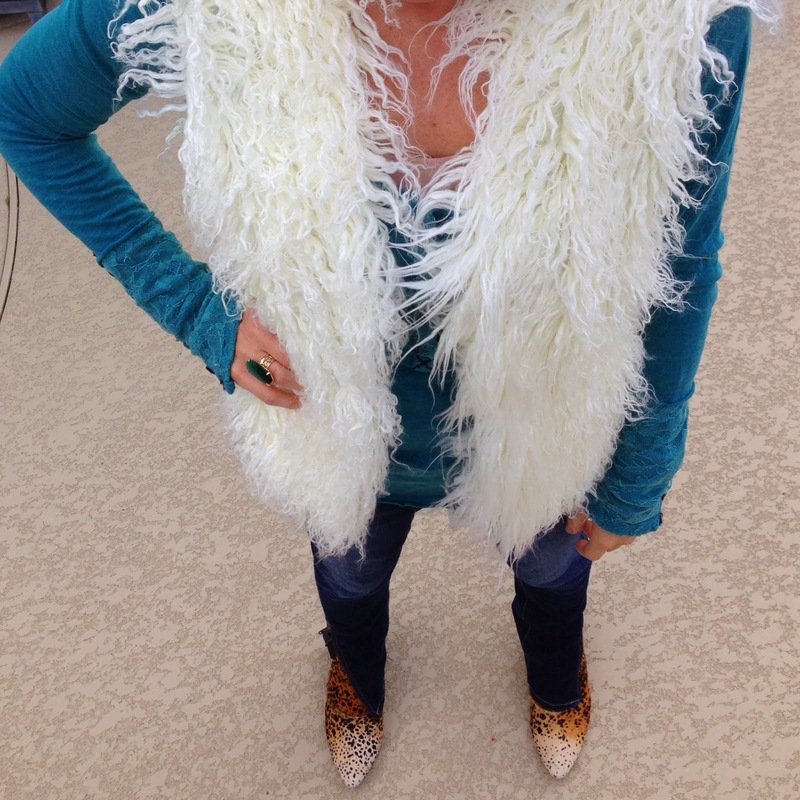 I had to break out this shaggy faux fur vest for my birthday weekend. 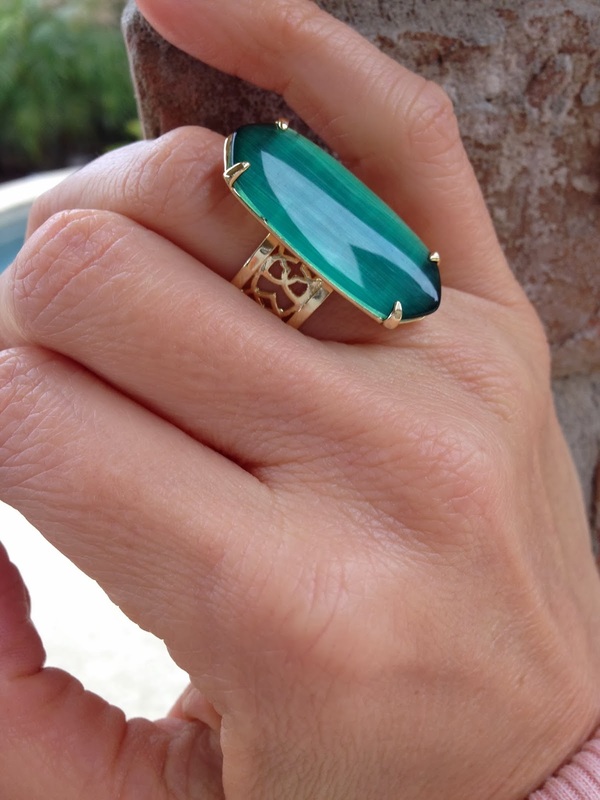 Big rings always make me happy and Kendra Scott does an awesome job with them. Everyone needs birthday nails and I chose this liquid sand for my big day! Cuteness! You know I saw that vest at Nordstrom (online b/c I'm an online shopper)...and all comments said it sheds VERY much? Super cute even if it does. Happy Friday! Tracey M.
It does shed a little but to me it's not a huge deal because it's not something that I wear everyday! Love these favorites! That polish is fun. AWWW what a CUTE post :) and Im so glad Ive found this blog. 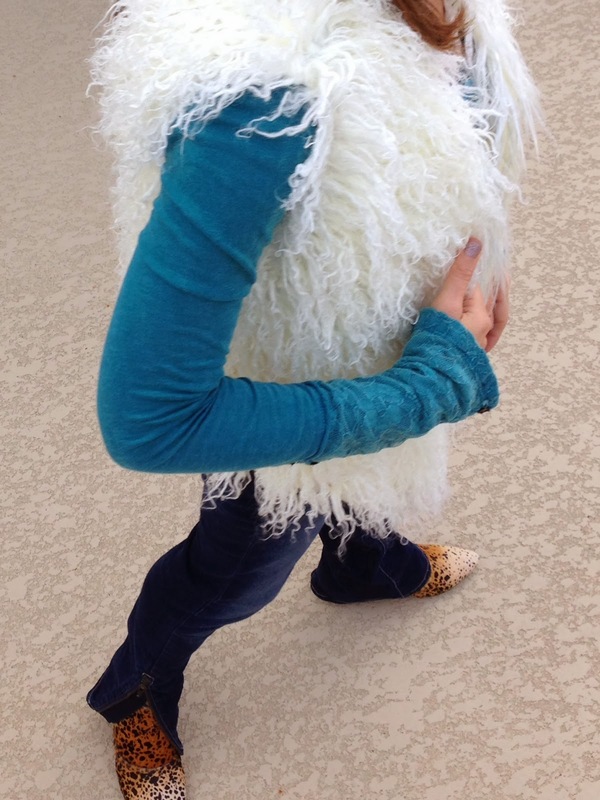 Thanks for stopping by Karina...couldn't get enough of the boots and vest!